After a dazzling 20-year run, Disneywill bid a fond farewell to “IllumiNations: Reflections of Earth” at Epcot® on Sept. 30, 2019. 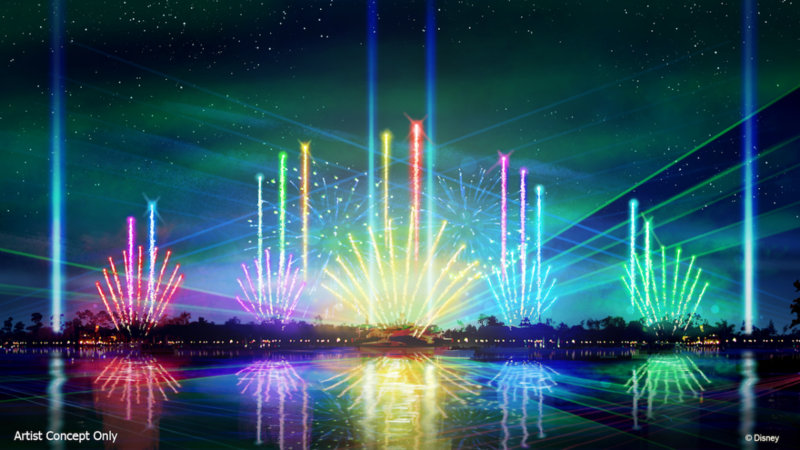 So come and gather around World Showcase Lagoon this summer to enjoy this breathtaking display of lasers, lights and fireworks, as Disney gets ready to launch two new nighttime spectaculars as part of the park’s unprecedented, multi-year transformation. Debuting Oct. 1, 2019, “Epcot Forever” will be an all-new, limited-time spectacle of fireworks, music, lighting, lasers and choreographed, special effects kites. The show will take guests on a journey through the past, present and future of Epcot. Featuring a stirring collection of songs that paint a colorful picture of the park, this nighttime extravaganza will offer both a trip down memory lane and a look towards the future and all the magical possibilities still to come. “Epcot Forever” will continue into 2020, when the next epic nighttime extravaganza makes its debut. If you have questions, other than quote requests, click here to contact Small World Vacations. Bonded and insured member of the Orlando/Orange County Convention and Visitors Bureau, IATA, CLIA, and ASTA. A+ rating with NJ Better Business Bureau. As to Disney artwork, logos and properties - ©Disney. Ship Registry: The Bahamas..
©2003 - 2018 Small World Vacations, Inc. All trademarks are the property of their respective owners.